Thought I'd let you know about a game I am currently playing. Several months ago I purchased Divinity 2 and I have been playing it most evenings ever since. This game is one of the best I have played in a long time and if you enjoyed Drakan and BOD you should enjoy this. It's a long game (100 hours plus) so be prepared to spend a long time on it and you get to play as a dragon from about a 3rd into the game. It's well written, had good quests, voice acting and some humour. Brilliant game and I'd recommend you try the demo although you can't be a dragon in it. Make sure you buy Divinity 2 Dragon Knight Saga NOT Divinity 2 Ego Draconis as you will be let down by the end. There is a seperate expansion called Flames of Vengeance but DKS includes both and is completley revamped. It's what Ego Daconis should have been originally. Just to add; you will need a decent PC to run this at it's best. You will need a Core2 Duo 2Ghz and a decent graphics card at least. So this is an Xbox and PC game, then. I won't be able to afford it until the 15th, but it looks compelling and action-packed, etc. I was also impressed by how much extra I'd be getting in a game I'm only just hearing about! Just finished it. It has a good ending as well so you won't be let down. It leaves the story open for a sequel as well and the developers have already said another game is in the works. There's no official anouncement yet but they said it will feature Dragons heavilly. One more thing; the the Xbox version is available in boxed retail and the PC version seems to be download only. I couldn't find the PC versions of ED or DKS boxed, retail here in the UK in any of the major stores. Also the expansion / add on was never released here but DKS was released earlier than the USA. I haven't played the Xbox version but the PC version is great. There is no difference between them apart from the control system and menus. Thanks for this recommendation - i've been on the look out for a game that matches the Drakan awesomeness for some time (& so far haven't found any!) so i'll definately be looking into this one! I take it you downloaded the game from the site you linked at the bottom of your first post? Can i ask what you think of the controls for the game on the pc & which pc controller is the game designed for - the playstation one or the xbox one? The reason i ask is because i am quite (alright very!) fussy about game controls & there have been some games that i've played once & then just never touched again because i couldn't get the hang of the controls/found them awkward. There is no boxed retail PC version in the UK but there is in Europe. A member said if you buy the German version it also is in English but I haven't confirmed this so I'd check with Larian before buying a boxed copy. Steam is cheaper anyway. As for the controls, it plays pretty much like a 3rd person shooter with the keyboard and mouse. I didn't play it with a controller and the dragon controls are pretty easy; move forward / backward / strafe with WSAD and aim where you want to go with the mouse. Note that unlike Drakan the dragon cannot land and you can't attack ground troups (you have to transform to human for that) but this feature should be in the sequel. The developer's mentioned on the forum that Divinity 2 originally had the ability to attack ground enemies but it had to be removed for technical reasons. Think it was because they had to make it an Xbox game as well. There is a new(er) free demo on Steam so you can try before you buy. It is the intro of the game and part of the first map but it lets you try out the Dragon at the end. 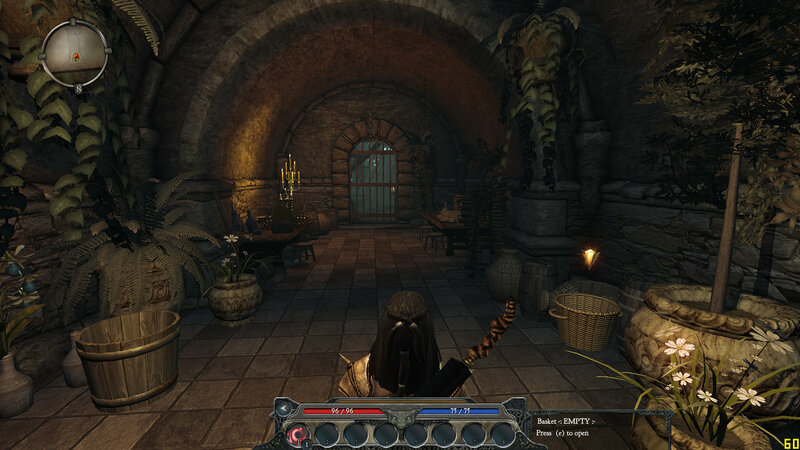 You will need to look for the dragon knight saga demo not ego dracons as that is the old one. http://store.steampowered.com/ - is this where you downloaded your game from? If it is, can you tell me if i would need to download any extra software to play the game or do i just pay & download it straight from the website? Also, would you say it's a safe website to download from? Yes, that's where I got it from. You need to install the steam client on your PC available from that link its free but you will need to set up an account with them. Just click on the green install steam button. You can then purchase and download the game either from the website directly or from within the steam client. Payment is via credit card or paypal. Once the game has downloaded you get the option to back it up then you can burn the disk images to DVD. You can try the demo for free though! Larian could not get a publisher to distribute the PC version of the Dragon Knight Saga on DVD however Amazon sell a DVD version of Ego Draconis but that's an inferior game. If you own an Xbox 360 you can buy an Xbox copy of DKS in the UK no problem at all. What are your PC specs? It's quite a demanding game and needs a good PC to run it at it's best. "unless you buy a new PC every year" - trust me, unless i win the lottery that's not likely to be happening! Thanks again for your help - really appreciate it! ATI Mobility? - is this a laptop? If so, I'd try the demo first to make sure it works. Laptops have issues with some games and it would be wise to try before parting with any cash. Specs you have should be more than adequate but you might not be able to run it at maximum graphics settings without getting slowdown. How about that - I've already played and finished the game before this thread was even started. More than that, I got Ego Draconis when it came out retail, finished it, then bought Ego Draconis + the Flames of Vengeance expansion off of Impulse (also known as the Dragon Knight Saga when both are bought as one package) and finished it. The dragon part was disappointing - felt cheap. But being a big fan of Divinity and Beyond Divinity, the 3-D runaround quests were done very well, and there's lots of character in the characters. Also, my PC is a HD 4870, Core i7 920 and the game ran at 60 FPS (locked V-Sync) with all settings maxed (well, I turned off DoF because I hate DoF) @ 1920 x 1080. 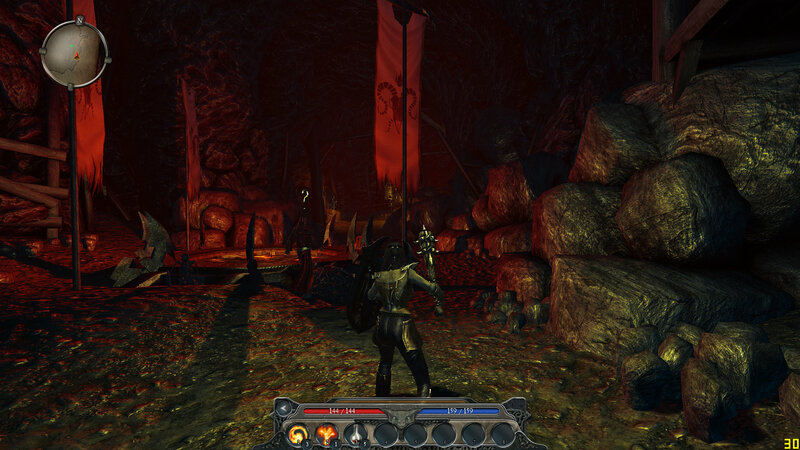 The Dragon knight Saga includes a remastered version of ED. If you buy the expansion on it's own it's just that and does not do anything to the ED part of the game. In the UK we never got the flames of vengeance add on instead were offered The dragon knight saga at the same cost. Apart from graphical changes the remastered version of ED is MUCH easier. Ugh, forgot I was still logged in under the admin account. As for the dragon part, yes it wasn't as good as Drakan but it's the only thing that comes close. For now anyway. From what I understand, when the expansion gets installed on top of Ego Draconis, it remasters it anyway. I can say from first hand experience that it does (armor was much shinier), as I actually played through Ego Draconis a second time. Or you can go to the index page and click the links to those screenshots there (I also have a lot of other games screens).